Supporting UK and overseas charities and voluntary organisations by way of recycling and refurbishing computer equipment (including PCs, Macs, printers and software). Donations welcomed. An employment charity originally designed to help the unemployed and people living in poverty to access furniture and household goods at prices that they can afford, but now also offers free training to help members of the community build confidence, skills and find a vocation that they are suited to and to get them back into the workplace. 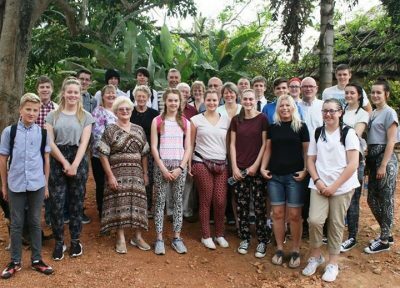 A Hailsham-based charity which is transforming the lives of people living in poverty in the isolated Ugandan village of Kabubbu. It works in partnership with a range of organisations around the UK and worldwide as well as locally, including the Square Youth Cafe. A charity that currently helps over 1,700 people who are blind or visually impaired lead more independent lives. Key services are available to registered members of ESAB only. However, anyone may ring and book an appointment to discuss and try out low visual aids, deciding what best suits your needs. Vision awareness training also offered to family members, support workers and members of the public. Set up to help families in Hailsham, in partnership with Hailsham Food Bank and Children’s Services. Bundles include clothing, food, equipment and day-to-day essentials (new and almost new) designed for children under 1 year.